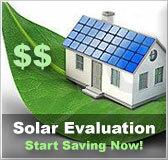 Missouri residential solar energy incentives | Solar Panels | Solar Power | Site Map | Bookmark This Site! -The state of Missouri offers residents a tax deduction for all home energy audits and energy improvements made on their homes based on the results of an energy audit. -This tax deduction allows residents to deduct 100% of the amount from their income taxes. -Maximum amount allowed for this deduction is $1,000 per tax return. Any remaining amount may be carried over to following tax years up to an accumulative maximum amount of $2,000 per taxpayer. -These loans are to encourage and help residents of Missouri to make energy efficiency improvements to their homes. -Super savor loans have a fixed low interest rate and a five year payback period with out any prepayment penalties. -Loans are given to help with costs associated with solar water heat, solar space heat, furnaces, heat pumps, air conditioning, building insulation, windows and doors. -Energy efficiency technologies must meet all requirements and standards to be eligible. -Many utility rebate programs are available throughout the state of Minnesota provided by municipal cities and utility companies to help encourage home owners to make energy efficiency improvements. 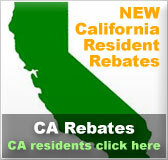 -Details, requirements and rebate amounts for each program will vary. -Net metering is available to customers who have facilities that generate electricity through solar, wind, methane, biomass, hydropower or geothermal systems. 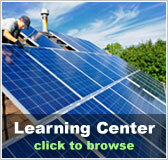 -The power produced by the renewable energy system is used to offset the kilowatt hours consumed each month. The incentive shows up as a credit on the customer’s monthly bill. 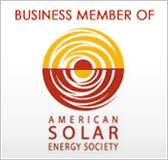 -Customers keep all renewable energy credits connected to the electricity their system generates. -Systems must have a maximum capacity of 100 kilowatts to be eligible for net metering.